I have been active in the South West region where I live since 1990 and have consistently been consistently involved in creating Place Management organisations on behalf of the business community. These organisations were originally perceived as a solution to a challenge however once brought to life have evolved into essential public / private partnerships underpinning the development of the region. Through my continuous engagement with both public and private sector colleagues I was able to shape a sustainable Place Management structure fit for purpose. The organisations depicted below are in their current form with links to show their purpose and intent. Designed to bring together the Place Management vehicles for the Plymouth sub region Destination Plymouth co-ordinates activity, initiates projects and controls public funding of Plymouth Waterfront Partnership and Plymouth City Centre Company – both Business Improvement Districts. A long term project to bring a sustainable Tourism infrastructure into the Plymouth sub region, the Plymouth Waterfront Partnership is the Business Improvement District based around the Barbican, Hoe, Millbay and Stonehouse districts which manages Tourism for the city on behalf of its members. Originally created to promote Plymouth as an event destination this public / private sponsorship based organisation carried out the formative team building which now is co-ordinated through Destination Plymouth. A Winter Festival was added and made the destination an all year round destination for visitors and locals alike. The pre-eminent partnership organisation uniquely brought together the local six Place Management organisations along with Devon County Council to produce a co-ordinated approach to managing and marketing the county for the tourism sector. Plymouth enjoyed its heyday as a National and International Conference destination in the 1990’s with the launch and operation of a publically funded convention facility. Increased competition and reductions in public funding led to this steadily reducing. Conference Plymouth was created to bring together both private and public partners to focus on developing this lost lucrative market for the city. The role is now undertaken by the Plymouth Waterfront Partnership Business Improvement District. 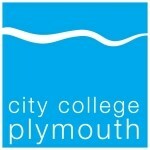 A publically funded vehicle to address skill development in small businesses in the hospitality sector the group still operates in conjunction with City College Plymouth. A statutory requirement for councils, the review of its core tourism provision was extended to include all services provided to the tourism, leisure, retail and hospitality sector. Although it culminated in the closure of the principally publically funded Plymouth Marketing Bureau it was the catalyst for the organisations which followed it toward to the inclusive and sustainable structure evident today in Destination Plymouth. Originally created to assist the retail development of the Plymouth central shopping zone the Plymouth Chamber of Commerce and Industry Retail Division has evolved into one of the UK’s most successful Business Improvement Districts.